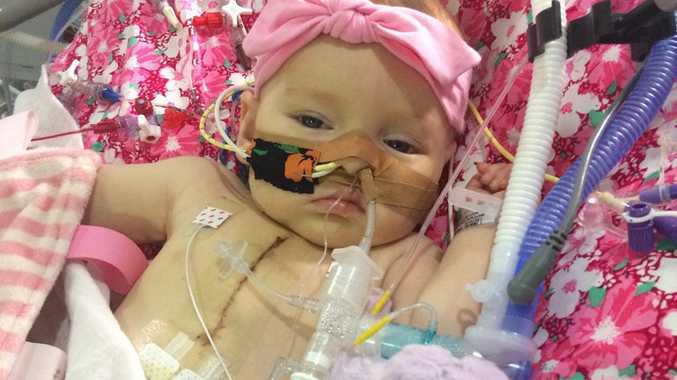 SEVEN-month-old Emerald Woolfe wasn't acting like herself. Luckily her mother Jess trusted her instincts and took her baby girl straight to the emergency department at Grafton Base Hospital. Within moments of arriving at the hospital things deteriorated rapidly. "Emerald was failing in front of my sister's eyes," Jess's sister Ashleigh Franklin explained on the GoFundMe page. "After hours of doctors, nurses, specialists and a video conference to the NETS Retrieval Team a decision was made to fly her to the children's hospital, 700 kilometres from her home." 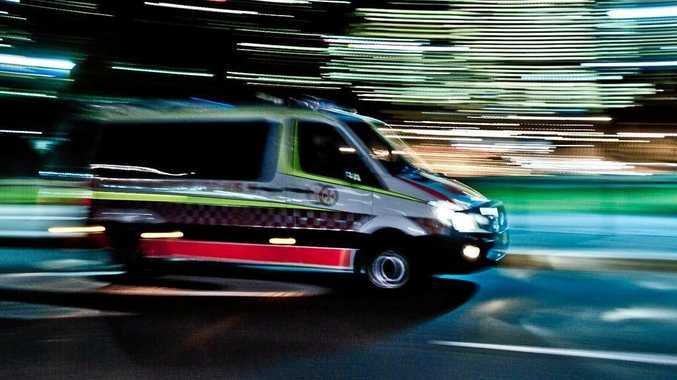 On March 22 The Daily Examiner reported that a blown lightbulb on a NSW Air Ambulance that was coming in to land at the Clarence Valley Regional Airport triggered an air alert. According to the family, this was in fact the same aircraft deployed to transport Emerald to Westmead Children's Hospital, where she underwent emergency open heart surgery and is now recovering. It turned out Emerald has anomalous left coronary artery from the pulmonary artery (ALCAPA), a very rare heart condition that affects 1 in 300,000 births..
"We have a diagnosis that Emerald's heart arteries and valves are back to front and doing the opposite to our anatomy," Ashleigh said on the GoFundMe page. "It occurs in 3 per cent of heart defect patients." A GoFundMe pagehas been created to help the South Grafton family cover ongoing expenses during this difficult time. "She's seven months old. We thought she was starting to teeth or could have been coming down with something but something just wasn't right. Yesterday changed our lives forever," Ashleigh wrote on the GoFundMe page. "She is a miracle to have been fighting this alone silently. She has undergone open heart surgery to correct the chambers of the heart to the right places. It's going to be a long process and recovery for our little Em." "Would be the greatest of help to her at this horrible time, keep Emerald in your prayers and thoughts." This week Emerald's grandmother Kay Franklin posted on The Daily Examiner Facebook page with a picture of Emerald. "My grand daughter Emerald Woolfe who was flown from Grafton base on the 23rd to Westmead children's hospital for emergency heart surgery, a fighter she is."